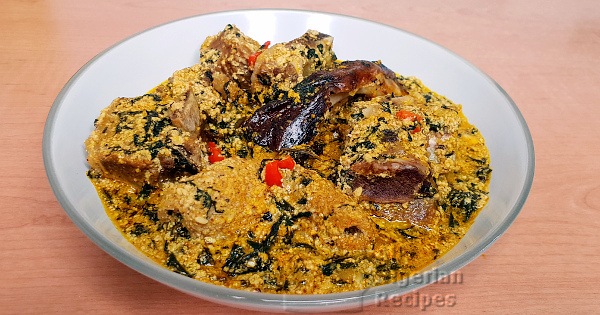 The Igbo Egusi and Ogbono Soup combo is a long forgotten, almost extinct way of preparing Egusi and Ogbono soups in one pot. It is a two in one soup. Please note that there is s huge difference between preparing Egusi Soup and Ogbono soup separately and mixing them in the soup bowl just before eating and preparing them together in one pot. Bitterleaf is the best vegetable for Egusi and Ogbono Soup combo because it keeps the soup traditional. The quantity to add depends on how much vegetable you like in your soups. You can use fresh habanero or scotch bonnet peppers and cayenne peppers for this soup. Soak the dry fish till soft, clean and debone. See the video below. Grind the egusi and ogbono seeds with a dry mill or coffee grinder and keep them separate. If you have unground crayfish, grind it with a dry mill too. Rinse the washed bitter leaves, pick out the long strands then chop the vegetable a few times. Chop the pepper and set aside. If using dry cayenne pepper, grind with a dry mill too. Cook the beef, stockfish and shaki till soft enough to bite. 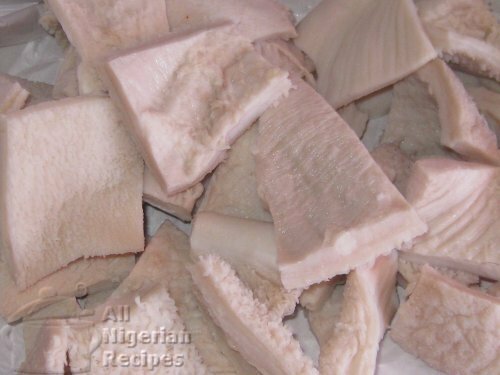 If you are using the very tough stockfish, boil it for 20 minutes and leave in the pot with the hot water to soak for about an hour before cooking with the other meats. I cook all of them together in a pressure pot. See the video below. When done, take out the stockfish, debone and separate into medium pieces. Pour the beef and fish stock into two separate pots, one for the egusi and one for the ogbono. Bear in mind that egusi will need more water than ogbono. Set the pots on two separate burners and start cooking on medium heat. If you have only one burner, cook the ogbono first then the egusi. 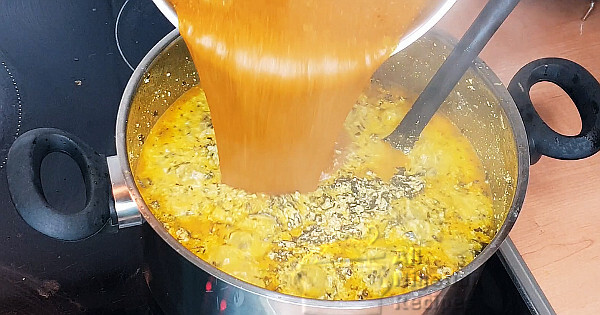 When they boil reduce the heat and add one cooking spoon palm oil to ogbono pot, add the ground ogbono and mix very will till there are no lumps. Cover and continue cooking on low to medium heat, stirring it often so it does not burn. To the egusi pot, add the crayfish and the ground egusi, cover and continue cooking on medium heat. Stir it often so it does not burn. And add water when it becomes too thick and starts to stick to the bottom of the pot. After 10 minutes of cooking the egusi, add palm oil (enough to give it a yellow colour) and the bitter leaves. Cover and continue cooking for another 10 minutes. This is the time it takes for the palm oil to integrate into the soup. I usually cook Ogbono for at least 20 minutes as well, this is the time it takes for the delicious taste of Ogbono to come through. So after 20 minutes of cooking both, pour the ogbono into the pot of egusi. Add salt, pepper and the meats and fish. Stir very well, cover and once it heats up again, it is done! Let's save this soup from extinction. Prepare some and let me know how it goes! Serve with any Nigerian fufu meal: Garri (Eba), Semolina Fufu, Amala, Cassava Fufu or Pounded Yam.